In their suspended installation A.N.N., Péter Koros and Réka Magyar (Kóros Design) use moving light to visualise a process that is similar to brain activity. Since the early 1990s scientific articles have featured the iconic illustration of the ‘luminous’ brain. These brain photographs (or more accurately, scans), with brightly coloured spots indicating activity during experiments, serve as evidence for all sorts of new psychological insights. The fact that these active areas in the brain don’t actually light up but are ‘coloured in’ by computer software is something we often forget because it illustrates this invisible and elusive process so well. 'A.N.N.' stands for ‘artificial neural network’, software that, just like our brain, receives, processes and transmits information in electric signals, from neuron to neuron within a network. Since they learn through the presentation of examples and are extremely good at recognising patterns, ANN’s are used in speech recognition, self-driving cars and personalised filters on social media. They are basically an extension of our own nervous system, and while they might not be very well known, they are a very influential medium in our world today. You can see Kóros and Magyar’s artwork as an enlargement of this microscopic system in our brain or in a computer, but also as a miniaturisation of a similar system that operates on a much larger scale, namely the cosmic web. The clusters of galaxies in our universe are actually connected via invisible, elongated ‘fibres’ of hydrogen gas to create a web of sorts. Interestingly enough, these structures are only visible when a bright light shines on them – just like the software that illuminates the workings of the brain. The fact that 'A.N.N.' is made of inflated textiles isn’t a coincidence since Kóros has been designing kites for years. He uses his expertise in this field to create inflatable works of light art. 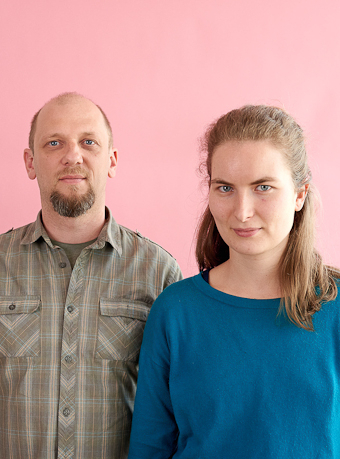 The Hungarian Péter Koros (1978) and Réka Magyar (1989) have formed Koros Design since 2018 in Budapest. Koros trained as an engineer at the Szechenyi Ivstan College in Győr and then studied furniture design at the university in Sopron, while Magyar recently graduated as a fashion designer at the art academy in Budapest. Together they make interior and lighting designs, in addition to designing inflatable light objects for theater performances and light and music festivals. Their installations are often enlargements of recognizable, iconic images. They were previously featured at Amsterdam Light Festival 2016-2017 with their pop art-like 'Bunch of Tulips'.